Rooftop solar subsidy must stay say industry groups. Two of the solar industry’s most respected bodies have lashed out at an Australian Competition and Consumer Commission (ACCC) proposal to scrap the national rooftop solar subsidy by 2021. The Clean Energy Council and Smart Energy Council both say the Small-scale Renewable Energy Scheme (SRES) gives customers access to one of the few ways they can still cut power bills. Both bodies insist it should stay. A new report by the Australian Competition and Consumer Commission argues that customers without solar PV are paying the price of generous solar feed-in tariffs (FiTs) and subsidies which benefit solar users. 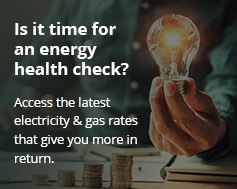 Solar customers real winners as ACCC report shows residential consumers face 35 per cent increase in bills over 10 years. While premium solar FiTs are now closed to new customers, non-solar consumers still bear bearing their costs, the report claims. It recommends that state governments bear any remaining costs of premium FiTs themselves. The report also proposes winding down the SRES and ending it by 2021. The ACCC report shows that consumers drawing power from solar installations are the real winners in the National Energy Market (NEM). The proportion of solar customers in NEM went from 0.2% in 2008 to more than 12% in 2018. Solar customers are using less grid-sourced electricity. Solar customers are paying $538 less on annual average than those without solar. The report says electricity customers with no access to solar panel systems are the ones suffering real affordability issues. Smart Energy Council Chief Executive John Grimes insists that the Turnbull Government immediately rule out slashing the solar subsidy. He also says it is one of the few things families and businesses can do to cut their power bills. According to Clean Energy Council Chief Executive Kane Thornton, the ACCC is forgetting that the national solar energy industry accreditation scheme is linked to the SRES.